Here I just created a script to download the MMS 2012 sessions for offline viewing . I uploaded the latest sessions.txt file to skydrive which I received from Eric. It contains 208 session names. I have not verified all sessions. I could download 165 Sessions. 43 sessions couldn’t be downloaded. Maybe give it a shot it is in a zip file called sessions_208.zip. UPDATE (20.04.2012): Wow! I didn’t expect to get so many nice words and suggestions. As a result of this I improved the script an built in some error handling. Copy the script file and the sessions.txt into the same directory! Add your credentials on top of the script. Nothing more to adjust! Call the script you just need to specify the path drive where you want to save the files e.g. Sessions which cannot be downloaded will be written out to a file in the script directory called sessions_notavailable.txt. You just can rename this file to sessions.txt and start the download again . I didn’t try facebook, twitter and other accounts in my script! The script looks like this…. I did not test the script very extensively so please forgive me any errors. If you wan to know which session talks about what and what is the name of the session, you can download the pdf from here. I just updated the script. No more such errors should happen. Is there a script like this for the Powerpoints? BTW do you know the names of the keynote sessions? I just added the files to my updated script! B.T.W: if you get error “An exception occured during a webclient request” make sure you’ve specified the correct target folder to download the files to. I just updated the script to V2. The reason I just didn’t built in some error handling was because it was 02:00 in the morning when I finished and anyway who needs error handling:). Yes you are absolutly right! Yes of course there are maybe other “ways” to do it. as I didn’t go to mms, this is great, any chance you can tweak it so it also downloads the pptx? that would be cool. I haven’t tried yet. If I find some time and way I will do it of course. Nice post and script Stefan -well done, makes reviewing the sessions I missed at MMS all the more easier offline. Especially since we’re not getting a DVD this year with the recordings. Great that I could help! I’ve validated that it does work if you pass Windows Live ID credentials as the email and password. Downloading sessions… Thanks for this script! When I run the script it downloads all the files, but they’re only 3KB. I’m not receiving any errors, any idea of a fix? Sorry about the delay offically I am on vaccation :). I haven’t heard of any problems so far. Have you tried to download other stuff from the internet using your browser? Does it work? Maybe some proxy/firewall/antivirus is causing the problem. Awesome… just what I needed. Anyway it can be tweaked to get the powerpoints? But thanks for a great Script, it rocks. It does not find any of the session videos, and thus downloads nothing. Anyone else seeing this? Or am I missing something? Those sessions are probably not online yet. Maybe you have to try it later this week. 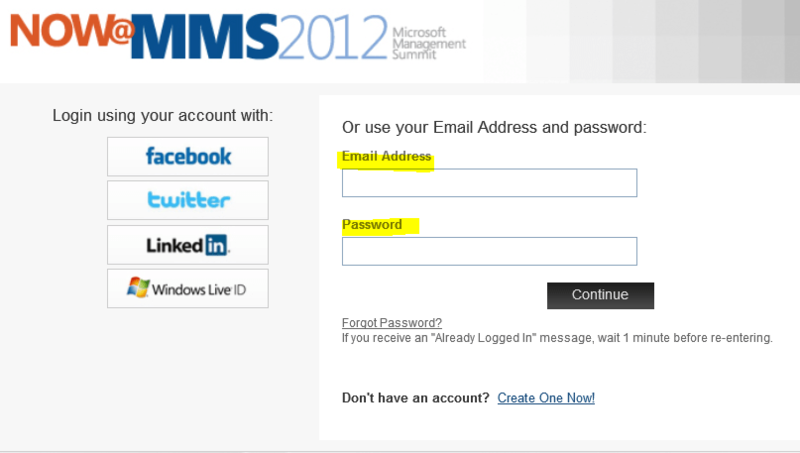 You can verify the only sessions by visiting the MMS 2012 page on http://www.mms-2012.com/digitalmms. First off, thank you very much for the script. It was very helpful! I sent you a mail. Please attach your Version and I will upload it. hi, I have about 20-30 videos that wouldn’t download, has anyone else had any issues? To generate my sessions.txt file I used the pdf guide which I put on skydrive. If you missed sessions I just uploaded a new sessions.txt file which I got from Eric. See my update post. Cool, I am glad I could help you! 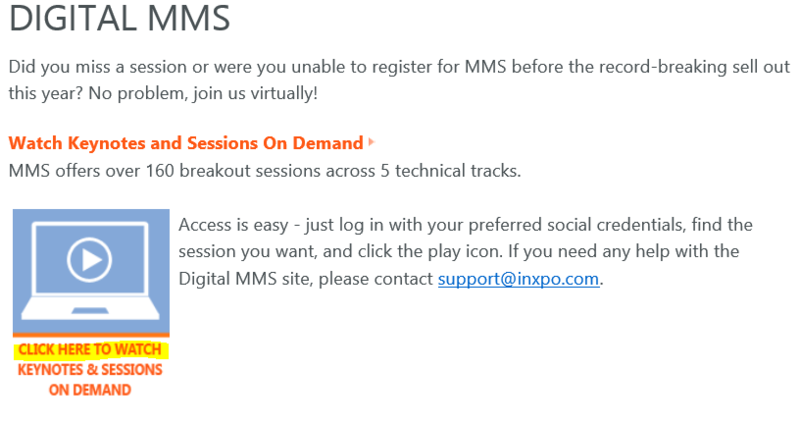 Please let me know if there is any way to download the session now as the link http://www.mms-2012.com/digitalmms don’t seems to work anymore. Please advise. Were they removed or does anyone have an alternate link for them? Thanks for the script! I improved on it slightly to get more meaningful flie names by using the session titles (created a file sessioncatalog.txt which I parsed from the MMS2012 web site). link to videos is dead. You can not call the URL itself. Try to use the script to download the sessions. I just verified that the script still works. Is there any way to get the CD-IL videos? I cant’t find those anywhere, especially the CD-IL322 by Ben Hunter. If those videos are not online available, I dont’t think there is another to get them. Would be possible to do the same for TechEd 2012 after it is finish in Orlando / Amsterdam??? Unfortunately those videos are not available…don’t know why but we already talked about that a few posts ago.